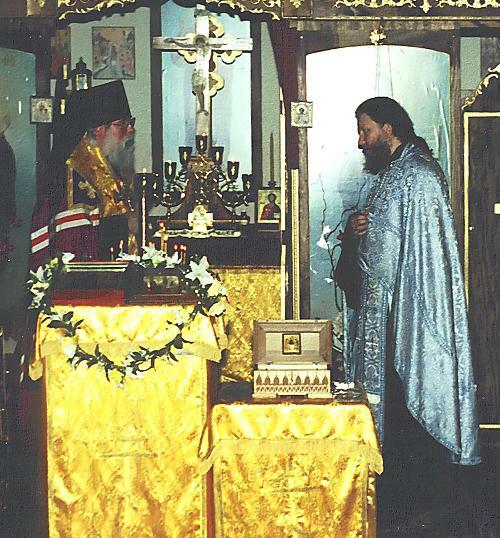 In March of 2000, a group of Orthodox Christians met with Bishop Job to discuss the establishment of a new OCA parish in Columbus, Ohio. On November 9th, 2000, Bishop Job visited and formally welcomed our parish into the Diocese of the Midwest, assigning fr. Miroljub Ruzic as our first Rector. Our congregation is composed of pious Orthodox believers from America, Armenia, Belarus, Bulgaria, Georgia, Greece, Romania, Russia, Serbia (Kosovo and Metohija) and The Ukraine. Together as Americans, we are striving to remain faithful sons and daughters of the One, Holy, Apostolic and Undivided Orthodox Church. 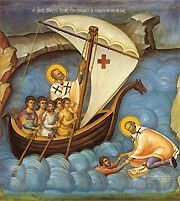 As the Laos (God's people), with St. Theophan the Recluse in unison, we proclaim: "Let us love every narrowness which the Lord has prescribed for us unto salvation. Let us love Holy Orthodox Christian dogmas and constrain our mind with them, having commanded it to reason in no other way. Let us love Orthodox Christian mores (traditions) and constrain our will by them, having compelled it to carry this good yoke humbly and patiently. Let us love all guiding, amending and sanctifying Holy Orthodox Christian rites and services, and constrain our heart by them, having impelled it to transfer its tastes from the earthly and perishable to the Heavenly and imperishable. Let that way be narrow so that one cannot deviate, neither to the right nor to the left. 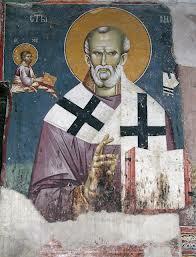 But in return, we will by this narrow way undoubtedly enter the Heavenly Kingdom!" "Go therefore and make disciples of all the nations, baptizing them in the name of the Father, and of the Son, and of the Holy Spirit, teaching them to observe all things whatsoever I commanded you; and behold, I am with you all the days until the completion of the age. Amen!"